This 4-20 mA solution works as a wireless pressure transmitter that can be installed throughout your high pressure system and is easy to install and setup. Utilizing our 4-20 mA technology, we can integrate your existing pressure sensors (or any other 4-20 mA capable sensors) allowing you to review your data analytics online 24/7, at all locations, anytime, world-wide! 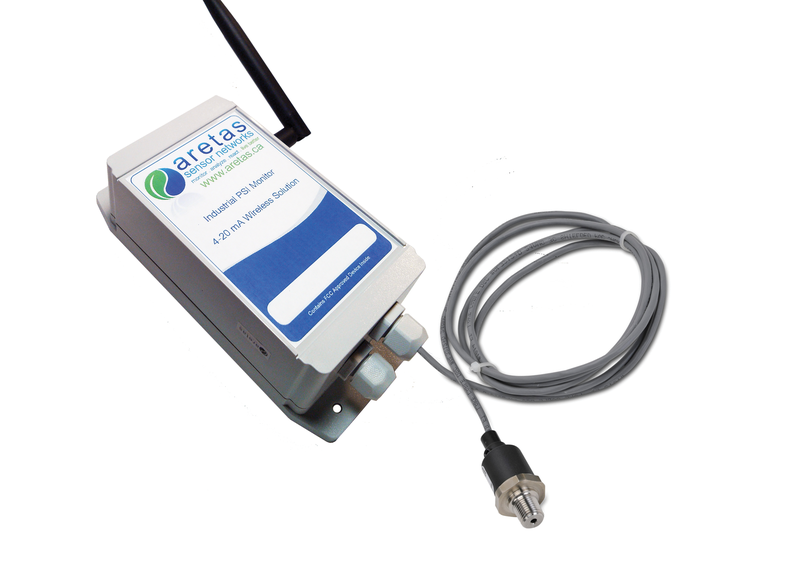 Our wireless pressure monitoring system gives you a wide range of pressure sensor solutions. It seamlessly integrates with our other sensor options such as temperature, humidity, CO, NO2, VOC to meet your unique needs. 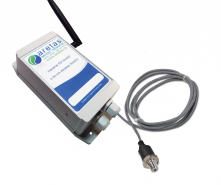 Call Aretas Sensor Networks today for a free demo of our online analytics which display data in many useful ways and offers capabilities including text and email alerts anytime your system varies outside of optimal levels. Our wireless PSI monitoring system is engineered to meet many industrial, commercial, and OEM pressure measurement applications. The all stainless steel welded thin film sensing element provides very fast response time and is compatible with many different media sensing applications. With a robust design resistant to vibration, shock, and EMI/RFI, the sensor provides high accuracy over a wide compensated temperature range. Pressure sensing ranges from vacuum to 5000 psi are available along with a ¼ inch NPT male threaded process connection (adapters available).